Christ the King supports the development of the whole child through the adoption of the Jesuit Pupil Profile. 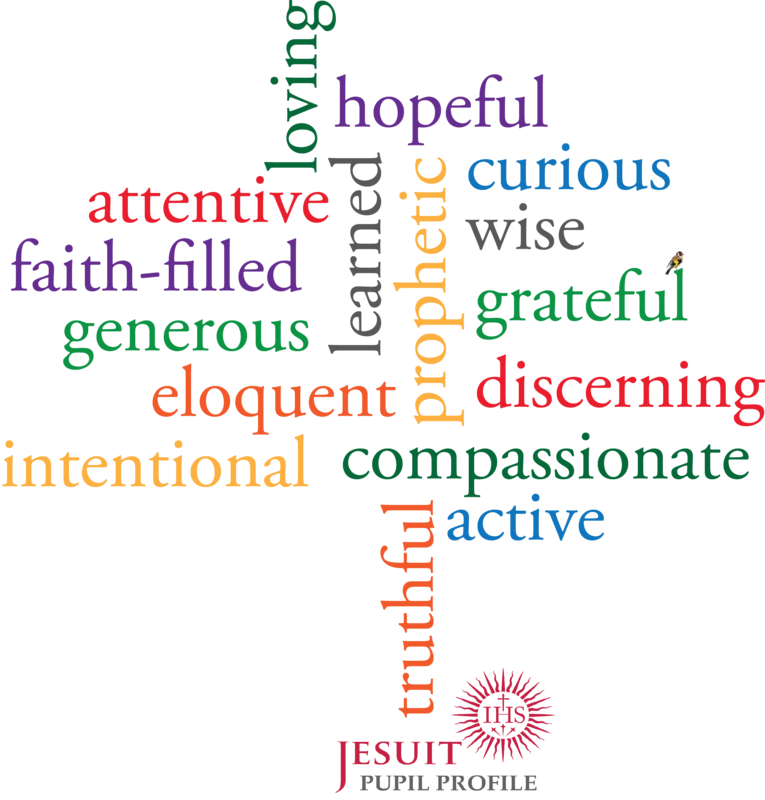 The Pupil Profile is composed of 8 pairs of virtues that sum up what pupils (and staff) in our Catholic Schools should be living and how they should be learning, in keeping with St Ignatius Loyola’s own vision that we can show…"improvement in living and learning for the greater glory of God and the common good." Each half term the children focus on a new pair of virtues. During this time pupils will work in class and within liturgies to discuss what each virtue means, how do we demonstrate it in our words and actions within our daily life. At the end of each half term pupils who have have clearly demonstrated a virtue or are working towards developing that aspect of themselves will be presented with a certificate. Pupils in Christ the King are growing to be . . . It is our hope that we can support the children of Christ the King, in partnership with the home and the Parish, to show these qualities in their work and play and to grow in understanding of their faith and themselves through reflection, prayer, discussion, academic work and collective worship. Loving and Compassionate Autumn First Half Term 2018 All these pupils demonstrated the virtues in their actions towards others. One of our pupils showed love and compassion by donating her hair to the Little Princess Trust , which makes wigs for children who are unwell.